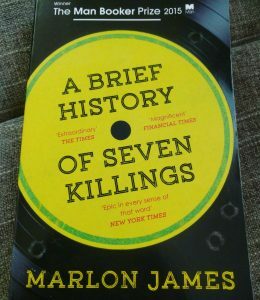 There are many different Jamaicas – if there’s one thing we learned from Marielle Frostrup’s interview with Marlon James it’s that. Marlon James is a Jamaican writer mostly known for A Brief History of Seven Killings, for which he won the Man Booker Prize in 2015. 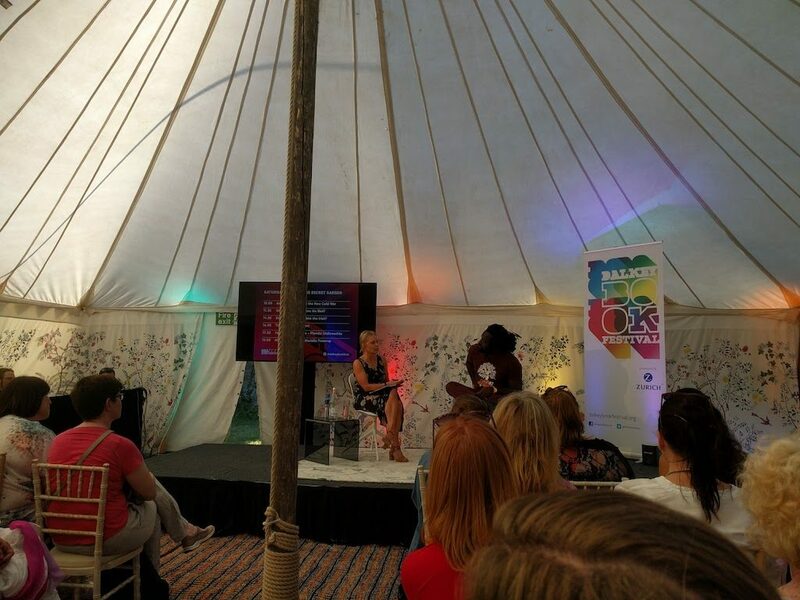 At the Dalkey Book Festival he was interviewed by Mariella Frostrup. James talked about how he wants to erase the idea of the “one story” of Jamaica. Often when journalists go there, he told us, they already have a story in their mind, an idea of what Jamaica is like. So, when they get there, they’re biased and seek out evidence to support their story. Rather than discovering the true plurality of Jamaica, they end up replicating stereotypes. The entire novel is also written in patois, a creole spoken in Jamaica. James said he hates when it’s called broken English because that implies it needs to be fixed. As linguist, I have to agree and point out that by being classified as a creole, Patois is almost considered its own language, with its own valid methods to structure sentences and own rules on grammar. Nevertheless, James told it can be difficult to place such a book with a publisher outside the Caribbean. 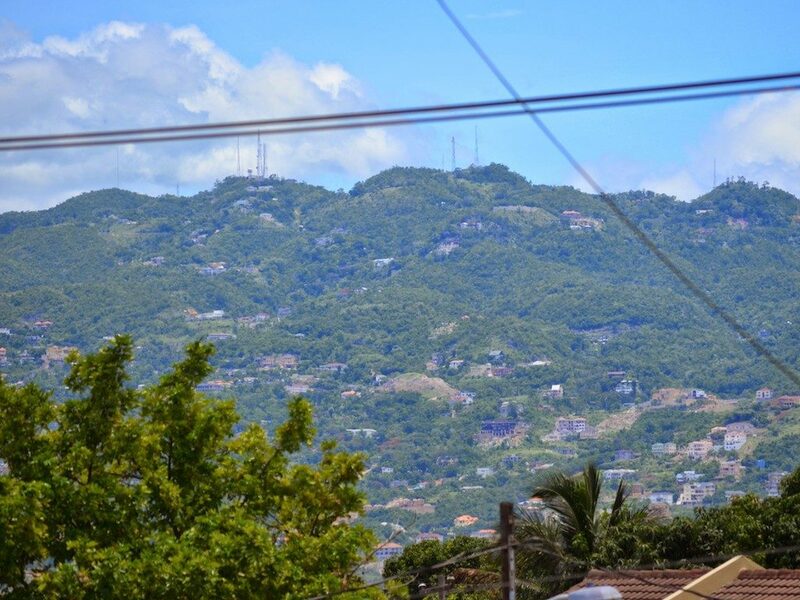 He, himself, had to overcome the idea that people won’t be interested in the story because writing about Jamaica is often said by publishers to be too local. 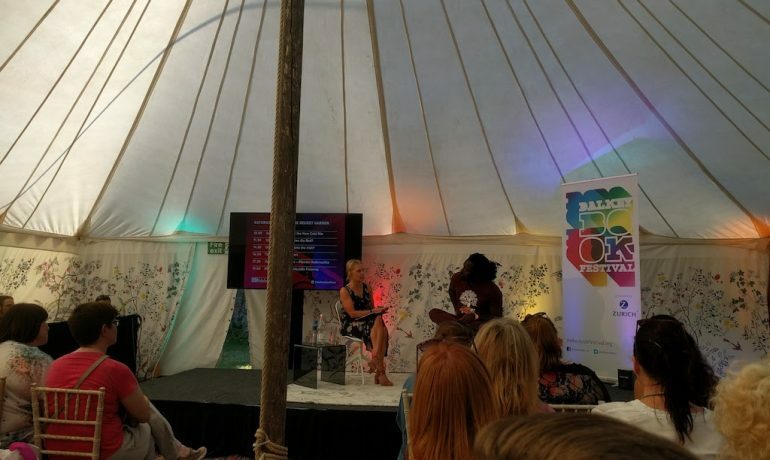 Man Booker Prize Winner Marlon James in conversation with journalist Mariella Frostrup. Like many writers from small places, his book first became popular outside of his home country. Millenials, he said were the first to discover it. The politics talked about in the book were a taboo topic they wouldn’t have heard much about before. So, people started getting together in Facebook groups, to talk about more politics within the community. Jamaica also changed in the past few years, James said. People want to process their past in a more sophisticated manner and talk about so they can move beyond it. Backdrop of the Blue Mountains in the background. “Dear, dirty Dublin” is a phrase often used by James Joyce whom James cites as one of his main writing influences. Dubliners in particularly inspired him to write about Jamaica. You have to know the city’s bad aspects but still write from a place of love to portray a place authentically, he explained. As Frostrup continued to name famous writers whose writing his has been compared to, James responded with “Only men?” and went on to cite Alice Walker and Toni Morrison as influences. They write books they wish they saw, which inspired him to write about the stories he wished he saw. 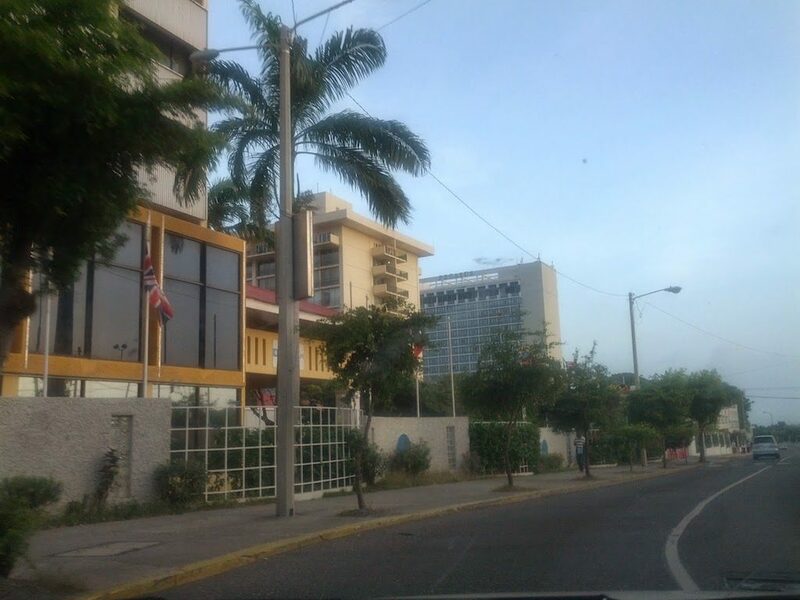 A drive through Kingston, on the way to Emancipation Park. Still, James emphasized he doesn’t want his novel to become the “one story” for Jamaica because of its success in winning awards. It’s still just one slice of a diverse countries with many more stories to tell. One of us has never been to Jamaica and the other one only to conferences there. So, we’re looking forward to discovering much more about the place one day, when we get to travel there. We're Julia and Samora, a millennial couple, from two different sides of the Atlantic, who fell in love and moved to Dublin, Ireland. Through our adventures and experiences we would like to give you insights into navigating life as young people far away from home.